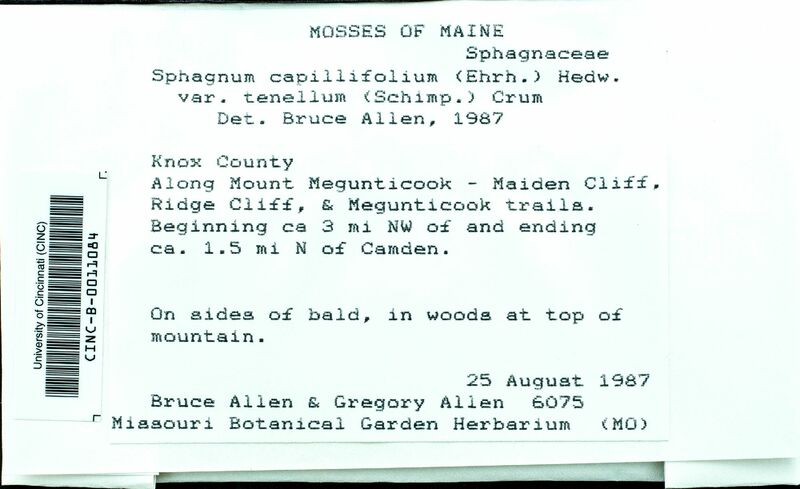 Locality: United States, Maine, Knox, Along Mount Megunticook - Maiden Cliff, Ridge Cliff, & Megunticook trails. Beginning ca 3 mi NW of and ending ca, 1.5 mi N of Camden. Habitat: in woods at top of mountain.